It’s always exciting to board a plane and then land in a foreign country. The sights, the smells, the people: the process is intoxicating, and can make us feel alive in ways that just can’t be replicated by anything else. But while for the most part traveling is a joyous occasion, it’s important to remember that there are inherent threats to our health at the same time. Indeed, part of being a responsible traveler is ensuring that our health is well taken care of. Below, we take a look at five tips that’ll keep you in tip-top condition during your travels. Of all the naive things to believe, thinking that a foreign country will be like life back home is the one that carries the most risk. 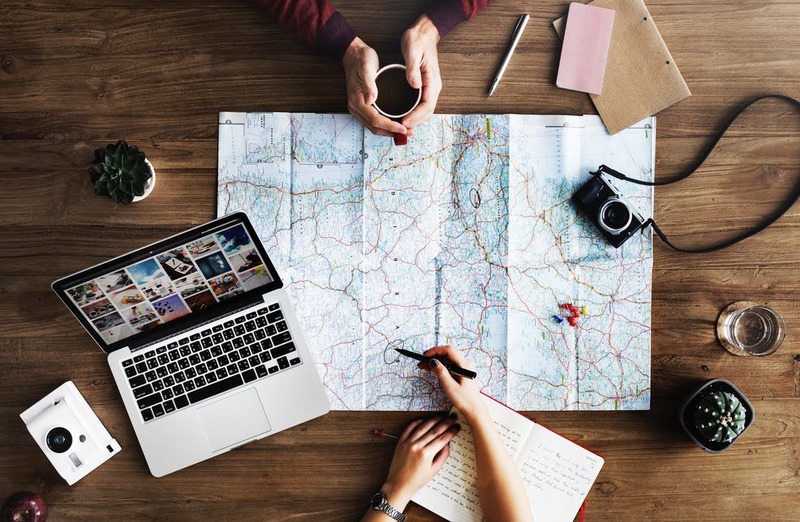 Before you travel anywhere, you should do your research to ensure you’re aware of any standard threats that destination might pose to your health. You might be required to have vaccinations or avoid certain areas of the country. You’ll only know this if you take it upon yourself to do research and make sure you’re fully informed. Hopefully, all the health concerns you’ll have while you’re away from home will be minor. However, these things will only be minor if you’re able to take care of them by yourself. Having a well-stocked first aid kit will be your first line of defense against all the small injuries that can occur when you’re traveling. Also, make sure you pack any essential medications that you think will be especially useful on your travels (say, Pepto Bismol if you’re visiting the east). We’re sure that nothing serious will occur during your travels, but that doesn’t mean you can simply assume that nothing serious will happen. Hope for the best, prepare for the worst, as they say! Wherever you’re traveling, it’s important that you have the information of an air ambulance service and a list of the nearest hospitals, just in case. In all likelihood, you won’t need this information, but you’ll be grateful that you did your homework should something go wrong and you need to call upon their services. The quality of the food and drink where you live might be exceptional, but that is not the case in all corners of the globe. Some countries don’t have any health and safety practices to speak of, and as such the food and drink can be laced with things that will make you ill. Wherever you go, have an understanding of what you can eat and drink without trouble. The number one rule for staying healthy and safe during your travels is to stay on top of your health. While there will be people to help on your travels, no one’s going to look after you in the same you can look after yourself. Make your health a priority, and everything will go swimmingly!